I’m so lucky to live about an hour from Disney World. No, I don’t go park hopping! But, we can go meet people who come to Orlando for business or pleasure. 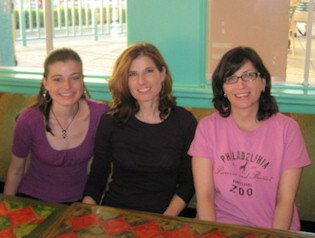 Recently, Katie Beth and I drove over to meet with Carla Jones, author of Death by Rheumatoid Arthritis. We had dinner and talked about Carla’s book and her mom, Celia. Carla had an unusual experience. She read: Cause of death Rheumatoid Arthritis on her mother’s death certificate. People do die from RA, but it’s not usually recorded on the death certificate. Read more about Carla’s book here in my book review. Buy Carla’s book here on Amazon. Celia Veno Jones died as a result of compression on her spinal cord resulting from RA’s affect on her cervical spine. 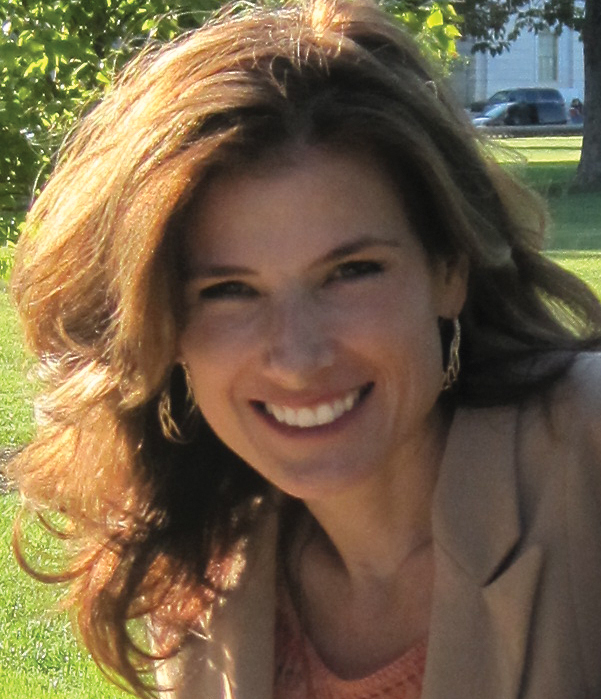 Celia’s story is not very unique because 83% of people with RA have their cervical spine affected within the first two years of disease activity. Telling Celia’s story is a good way to educate physicians and care givers that spinal involvement in Rheumatoid Arthritis is common and can be life threatening. K: Have you met many people with RA? 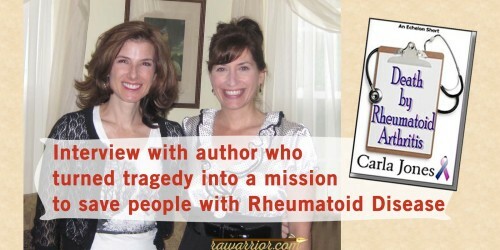 Carla: Since I wrote the book, I keep meeting people with RA. Even in surprising places. I value input from the RA community. I’m hoping they can use this (book) as a tool to educate and reach out. 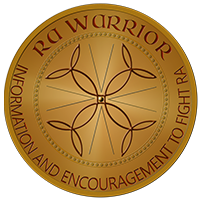 There are a lot of brave people with RA that we want to help. K: Let’s talk about your mom. What kind of treatments did she take for RA? Carla: She tried every new thing. And she took vitamins. She took prednisone, methotrexate, neurontin for nerve pain. She took pain meds: Oxycontin and Percocet. K: How long did it take for your mom to be diagnosed with RA? Carla: Only a year maybe. She had fatigue as a main symptom then. K: Which joints were affected? Carla: Her hands, knees, ankles, and neck. But she was so sedated at the end, I’m unsure. K: Did her RA flare and remit or was it unrelenting? Carla: She had flares for a few days at a time, sometimes worse. Some good days. K: What were the first signs that your mom had RA in her cervical spine? Carla: Pain. She had pain in her neck. And then headaches. K: Did she seek medical advice? What did they tell her? K: Did it get better? Did she see more doctors? Carla: The meds masked the pain after that. The pain was “gone” so we didn’t know. K: Did you know there was such a thing as RA in the spine or had you heard of spinal cord injury with RA? K: How did you find out? 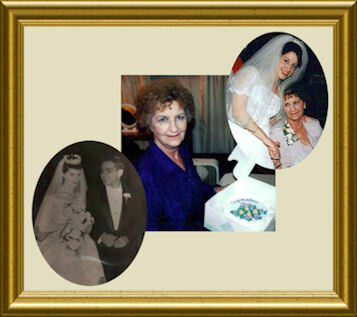 Carla: Two months before she died, when it was too late to do surgery, another doctor saw that same x-ray that the rheumatologist had read two years earlier. K: Did you realize she would die at that point? Carla: No, she had only the headaches at that point. No neck pain. The increased pain meds would have masked it. K: When you decide to write a book? Carla: We learned that treatment within 6 to 12 months of the x-ray could have addressed it. I journaled about my feelings. I felt such injustice that her life could have been saved if we had known. We need to do this for those who are misdiagnosed. They may have headaches or be sedated by pain meds and not know that they have a fatal condition. Maybe I can save one person from dying. K: What’s the one thing you want people to know most about your mom? Carla: Her faith. She’d say her relationship with Christ brought her through all of her pain. For some reason it seems to me that sooo many are going undiagnosed, wrongly diagnosed or ignored even when diagnosed. Why? I just want to know…why? Her Mom was a brave soul and I know in my heart an angel watching over all of us and particularly her daughter. I have had the neck to just below the shoulder blades that are painful since September of 2010. And a few of the headaches, as well as optical migraines, swollen lymph nodes (since Jan 2009), hard time and throat that feels bruised which I found if I put pressure on it I hear crackling and then the pain goes away. Is there a separate treatment or type of doctor I should be seeing? For the spine part. 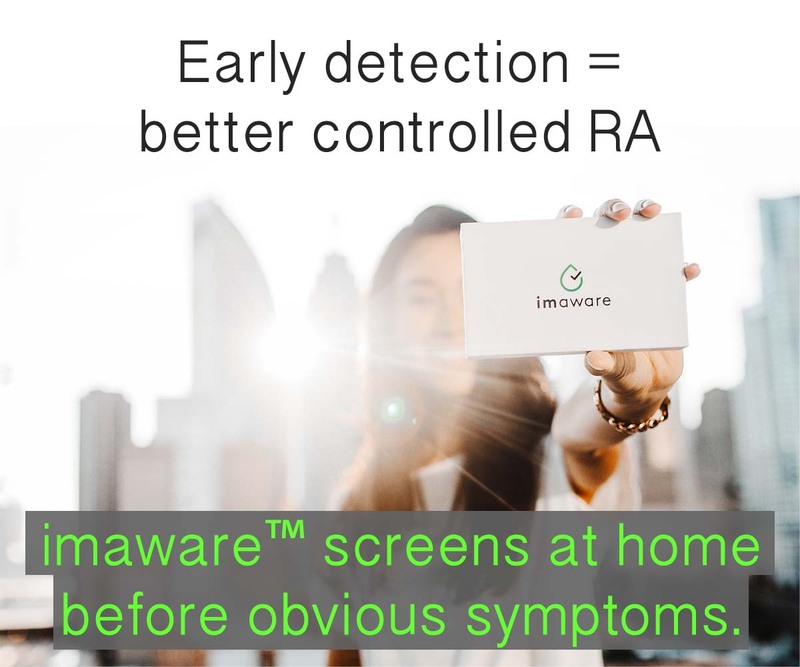 I’m a 50-year-old RA patient since 25 years. Had bilateral knee and hip replacements. I’ve been getting similar type of severe n frequent headaches n neck pain since 3 yrs. Now I’m wondering if this could be due the spinal cord being affected by RA.